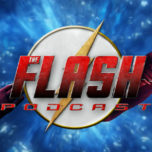 On this week’s episode of The Flash Podcast, Andy, Scott and Lauren review The Flash’s 13th episode titled “The Nuclear Man” as Barry and team S.T.A.R. Labs have to help Firestorm (Ronnie Raymond and Dr. Martin Stein). 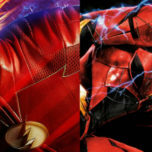 In addition, Shag from FirestormFan.com stops by for a brief chat about the episode. They also read listener feedback about the episode before heading into the spoiler section for next week’s episode “Fallout”.